This map shows territory of Russia. free map of Verkhnyaya Kyndyrla calibrated for gps. actual map of Tabat calibrated for you. detailed map of Kirgindzhul' и OziExplorer calibration for you. map of Iudino 1 cm to 1 km for you. 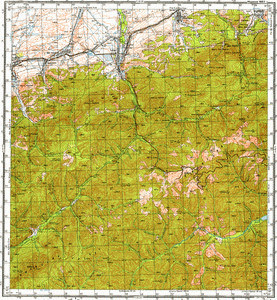 free map of Imeni Budennogo with gps calibration download for free. topographic map of Dekhanovka и OziExplorer calibration download for free. detailed map of Bondarevo и OziExplorer calibration free download.